Editorials in the Elektor newsletter are usually about current or historical technological developments, but I would like to kick off 2017 with an editorial about a common problem in the lab. You’re making measurements on a circuit and you see strange waveforms on the oscilloscope screen that have no business being there. 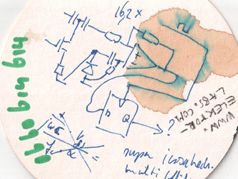 After trying to track down the problem in the circuit, you discover that the trouble is not there but instead a bad contact in one of the probes. 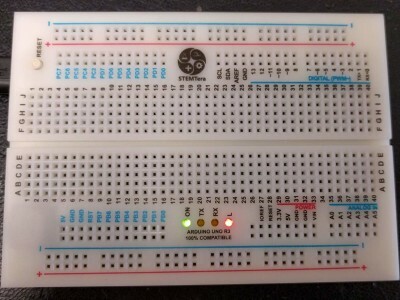 Loved and hated at the same time, breadboards remain a great source of inspiration. They are loved because of their versatility and ease of use, and hated for their bad contacts and ever lack of space. Many circuits need some form of power supply, but breadboards do not have good connections for them. Few things are more irritating than a circuit that behaves erratically because its power supply is badly connected. The BooSTick project we recently found on the Kickstarter site is the sort of thing we like to think up in the Elektor Labs. This time someone else beat us to it. This handy little board converts the voltage from a single penlight cell into a regulated 3.3 V or 5 V supply voltage for use on a breadboard. 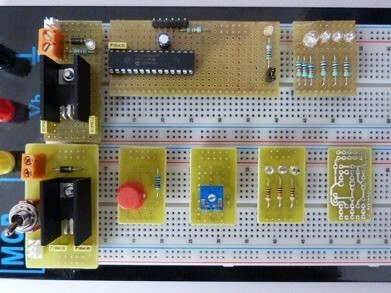 Many electronics enthusiasts use stripboard to build small circuits and prototypes. 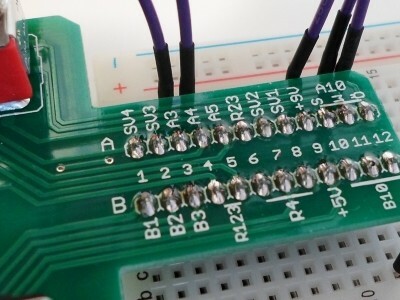 Unfortunately, most PCB layout programs do not provide much support for this, so it’s ultimately up to you to figure out the best way to position and connect the components. 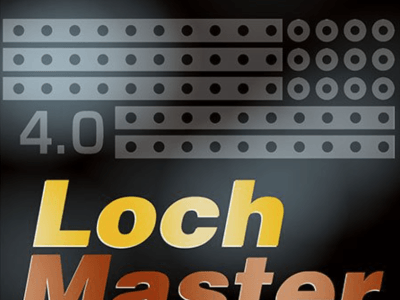 The LochMaster software tool is helpful in these situations. Sometimes things are just meant to be. Our translator David Ashton from Australia was testing this old display. 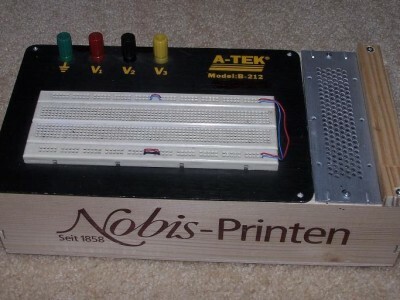 He wanted a breadboard to put the test circuitry on and mounted it on a panel.